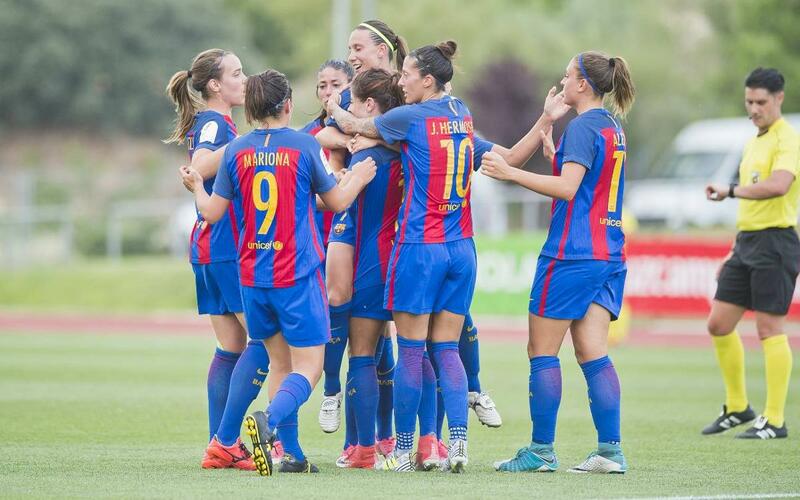 FC Barcelona Women are through to the Copa de la Reina final after defeating Valencia 2-1 on Friday evening. Barça keeper Sandra Paños was called into action early on to deny a good chance, which gave her team the platform to gain control of the game. And with the team's second shot on goal, Gemma Gili scored from the edge of the box after a backheel assist from Alexia Putellas. Within just minutes, Barça doubled their lead through a powerful Vicky Losada strike, giving Xavi Llorens' side a comfortable lead. The two-goal cushion was maintained thanks to Paños, who denied Nicart from a corner. Valencia continued to probe, and Mari Paz eventually narrowed the deficit deep into injury time with a fine strike, but it was too little too late and Barça hung on for a place in the final. Xavi Llorens' side will face the winner of Athletic v UD Granadilla Tenerife.